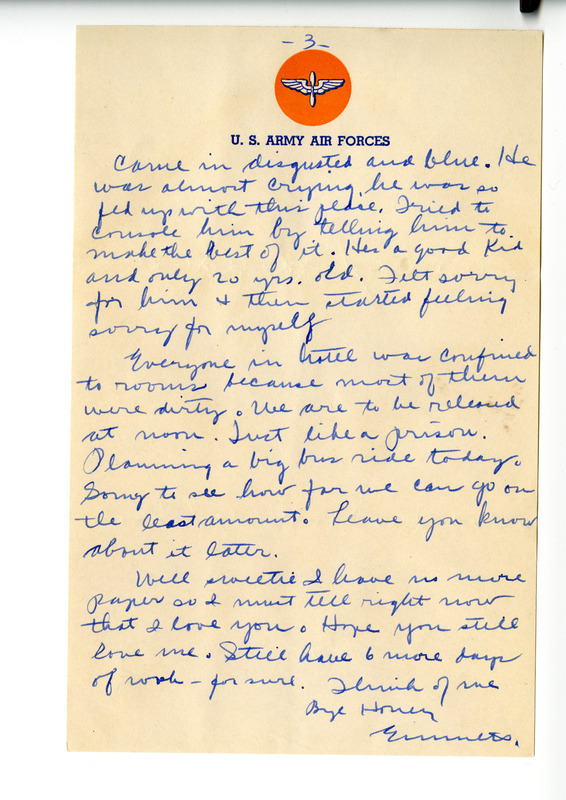 Emmett Boyd writes two letters to Jane. 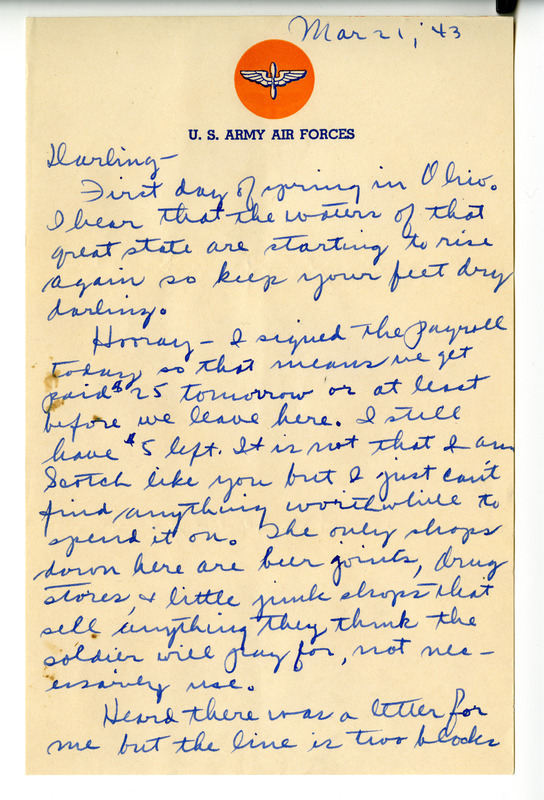 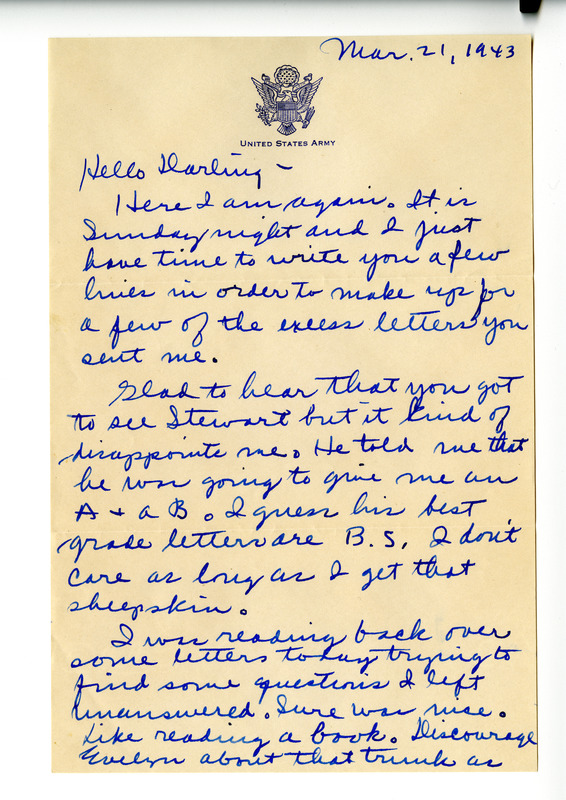 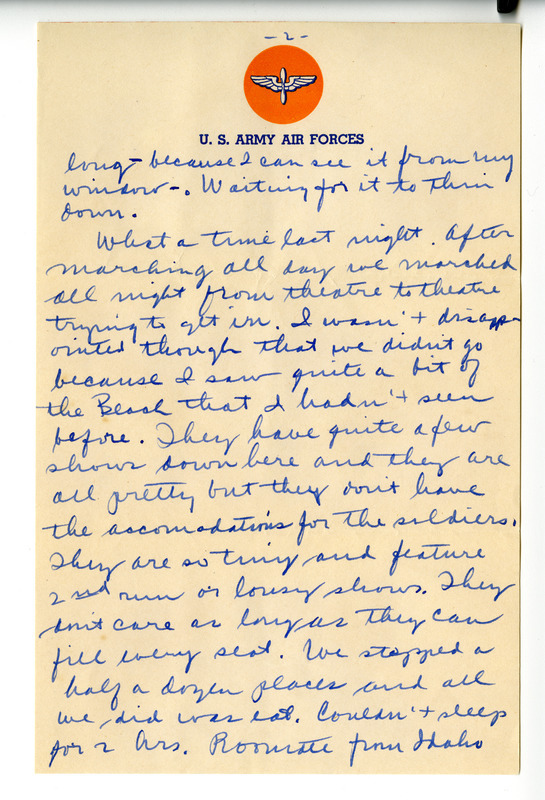 Both letters ask Jane about home life and recount the happenings on the base. The second mentions Emmett is to soon receive a college diploma. 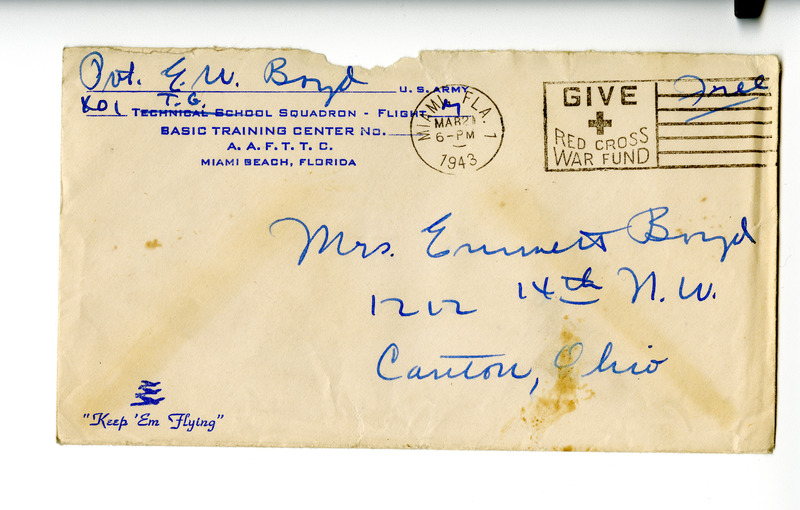 The university is Kent State University (context other letters not included in this project). 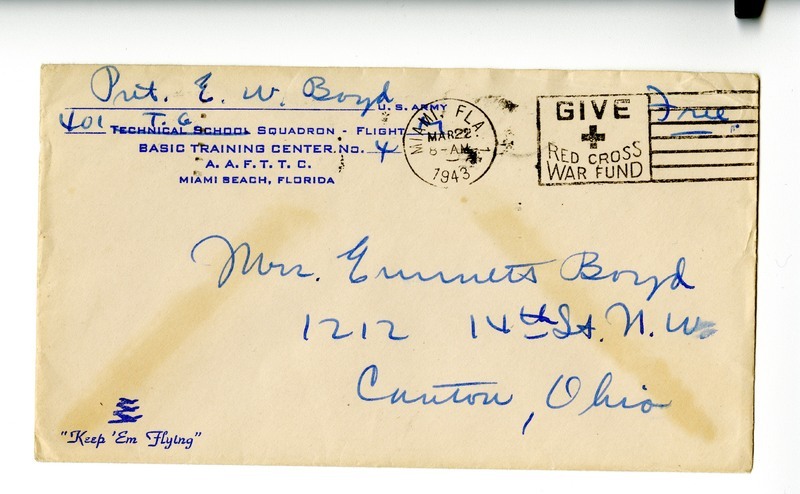 “Correspondence: Emmett [Boyd] to [Jane Boyd]: Mar. 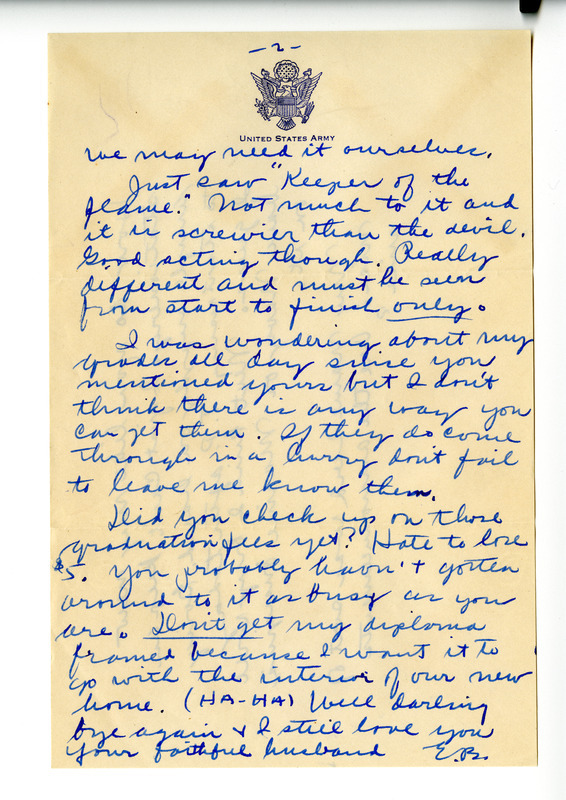 21, 1943,” Meeting Jane and Emmett, accessed April 19, 2019, http://meetingjande.net/items/show/5.